Madras University is one of South India’s top universities for Distance Education. The Madras University Board was constituted in 1840. The systematic policy for education in the university started 14 years later in 1854. This policy aimed at providing a systematic way of education starting from primary school to university degree education. Thus the University of Madras emerged in 1857, followed by an act of the Legislative Council of India. The Madras University has set its motto, whose English translation is ‘Learning promotes one’s natural innate talent’. This University spread its branches to the whole of South India. Its affiliated universities include Mysore University founded in 1916, Andhra University founded in 1926, Travancore University founded in 1937, Sri Venkateswara University founded in 1954, Tamil University 1981, Tamil Nadu Dr, Ambedkar Law University founded in 1997 and many more. Madras University has set its goals to encourage and support socially relevant education, improve the quality of education and create an equitable access to all sections of the society to higher education. This university also focuses about providing leadership and helping its affiliated colleges to adhere to established norms while conducting their courses. Currently the University of Madras, IDE building located in Chepauk, Chennai is the main head office. The university has six campuses in Chepauk, Marina, Guindy, Taramani, Chetput and Maduravoyal. 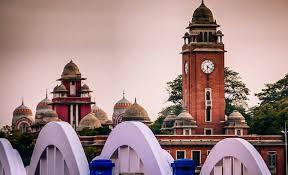 Presently this university has a total of 4819 students with 3239 pursuing postgraduate degree and 67 pursuing undergraduate degree (https://www.ideunom.ac.in/home.html). The Madras University and its affiliated universities provide distance education courses in computer sciences, commerce and Business Administration. It has been ranked the top most university and has been given “Five Star status“ by the National Assessment and Accreditation Council (NAAC). The University Grants commission (UGC) also awarded it with the status of “University with Potential for Excellence”. Distance education is becoming popular amongst people who desire to work and pursue studies. This form of education system is becoming increasingly popular in today’s scenario as more and more universities have started offering distance education courses. Madras university offers distance degree courses in B.Com, M.Com, BBA, MBA, BCA, MCA etc. Aspirants who want to pursue bachelors or masters degree through distance education, Madras university provides them with a huge opportunity. Pursuing MBA and M.Com from this university can help an individual gain success in this career (http://www.unom.ac.in/). The Institute of Distance Education affiliated under the University of Madras provides an enquiry platform for its distance education openings and courses. Aspirants who want to undergo distant education courses from this university can contact the enquiry division through phone or email (http://www.unom.ac.in/index.php?route=contacts/ideenquiry). This university has several formalities regarding the admission and continuation in distance learning courses. If a student wishes to discontinue his course after the first or second year, he must inform the Director, IDE before the 31st of May that very year when he wishes to discontinue. If not done likewise, then the full fees get charged. The learning materials required for the course are sent in the address provided in the address slip which they provide during admission of the candidate. Every candidate is provided with an enrolment number during their admission in the distance learning courses. If a change of address for any candidate occurs, then the candidate is required to inform the university with the enrolment number provided to him or her. Students pursuing distance learning from this university are provided with ID cards after the receipt of the first year’s tuition fee. This card is to be returned to the institute after completion of the course. If this card is lost by any candidate, then a fee of Rs. 1000 is charged as penalty from the institute. Madras University may be rated by the governmental agencies as the very best institutes for distance education, but the students who have already pursued their courses from this university have totally different opinions (http://www.mouthshut.com/product-reviews/University-of-Madras-Chennai-reviews-925085056). It has received a very low rating from its past candidates and their relatives. Some have complained about not receiving the degrees on completion of courses, some have even complained about not getting proper response from the university’s side while doing enquiry. Even the university of Madras’ customer care rating is nil, with most of the customer complaints not resolved (http://www.consumercomplaints.in/university-of-madras-b101651). Madras University might be rated as the top institutes by the government agencies, but ultimately it is the opinion of the candidates who have already pursued their courses from this university which matter the most. Since this university has received a much higher percentage of negative responses from past candidates and their relatives in online review sites, according to me, students aspiring to pursue distance courses from this institute must first enquire thoroughly about this institute by contacting its customer care or from the university’s enquiry website. If through these enquires they get their satisfactory resolutions, then they can opt for pursuing their distance learning from this institute. From my own perspective, if they really want to undergo a distance learning course from this institute, they can go for an MBA degree in Marketing, Finance, Human Resource or Business management. As Madras University has been awarded ‘A’ grade by NAAC and also affiliated by the UGC, pursuing a correspondence MBA from it can cause no harm. As Distance education is becoming increasingly popular in today’s world as most of the students plan to do a regular job along with pursuing their studies. Madras University provides a good platform for distance learning courses which students can undertake along with their daily routine activities.